Whether you have played a course 20+ times a year or looking to play the course for the first time, insights from an insider can help enhance your golf experience. 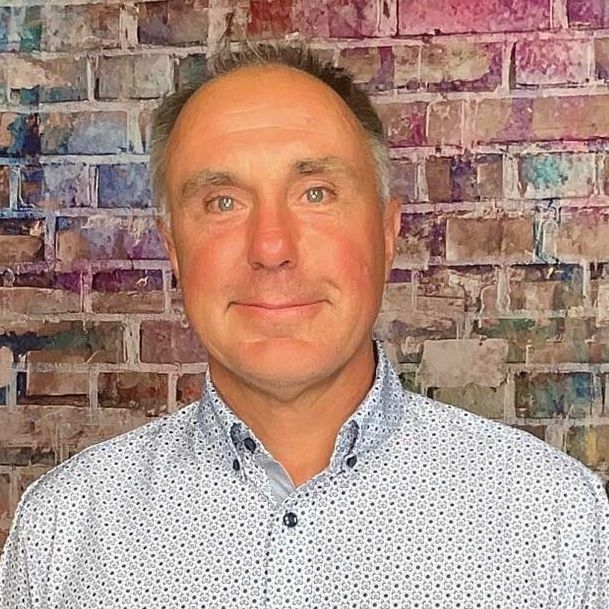 Below is an interview with Joe Massanova who shares some valuable tidbits about the course, memorable holes and must eats and treats at the 19th. Located in the footsteps of the scenic Red Rock National Park, minutes away from the famous Las Vegas Strip, TPC Las Vegas is "desert elegance" on display. 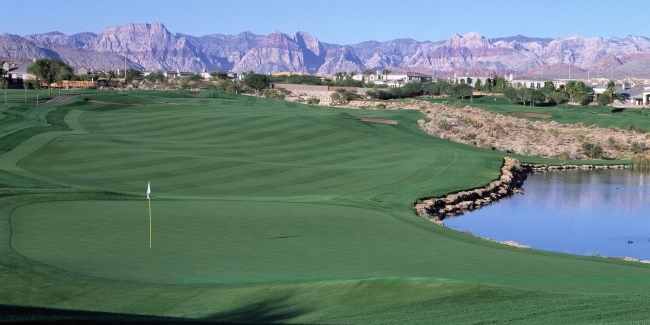 With a stunning backdrop of Red Rock Canyon, rugged natural landscape and the famed Las Vegas skyline, TPC Las Vegas (formerly known as TPC at The Canyons) is the only public PGA TOUR Facility in Nevada, making it a destination for celebrities, PGA TOUR players, novices and seasoned players alike. 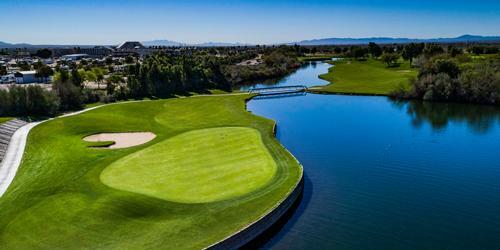 The Bobby Weed and Raymond Floyd design is a par 71, 7,104-yard layout providing multiple sets of tee boxes offering the ultimate experience in Las Vegas golf for players of all skill levels. Over the last decade, TPC Las Vegas has highlighted superb conditioning, a beautiful layout, excellent customer service and the overall "Highest Standards in the Golf industry" as either host or co-host to PGA TOUR and Champions Tour events. TPC Las Vegas served as host of the Champions Tour's Las Vegas Senior Classic from 1997-1999 and the PGA TOUR's Shriner's Hospitals for Children Open from 2001 -2006. Playing at TPC Las Vegas offers golfers the chance to experience the same standards of quality and service that are typically reserved for the pros. Touring professionals that call TPC Las Vegas home include Kevin Na, Bill Lunde, Ryan Moore, Dean Wilson, Bob May, John Reigger, Alex Cejka, Ernie Gonzales, Craig Barlow, Charlie Hoffman and Bob Byman. As the most recognized golf brand in the world and home to numerous local PGA TOUR professionals, TPC Las Vegas is the most coveted golf environment in Las Vegas. Our exceptional course conditions, wonderful desert layout, top-shelf customer service and state of the art practice facility leave every guest feeling like its Championship Sunday! 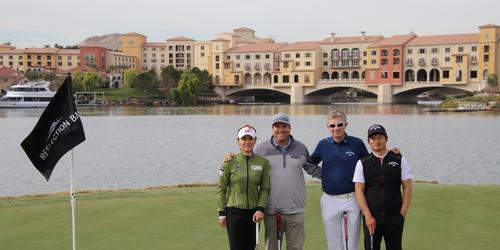 1) TPC Las Vegas is located in Summerlin, at the base of the Spring Mountains. The natural geography of the area slopes toward the Las Vegas Strip. Therefore, all putts break toward the Strip. 2) Bring a "rock club" to hit your ball out of the desert. 3) Your ball will naturally carry further in the hot dry desert air. TPC Las Vegas was recently voted best course in Southern Nevada by Nevada Magazine for 2015. 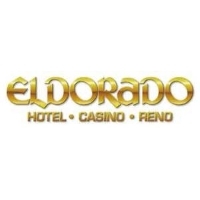 Other points of distinction would include being ranked 3rd in Las Vegas and 9th in the state of Nevada by Golf Advisor. For the past 15 years, TPC Las Vegas has been in the top 100 golf shops in the United States as ranked by Golf Digest/AGM. Older awards , but certainly noteworthy would include being ranked #1 in the state by Silver State Awards in 2013. TPC Las Vegas was voted the "Best Upscale Resort Course" by Vegas Golfer and boasts a Four Star rating in Golf Digest's "Best Places to Play," as well as one of the "50 Best Golf Courses for Great Service in North America." Currently the 9th Ranked Course in Nevada (3rd in Las Vegas) by Golf Advisor, TPC Las Vegas is also known as one of the "Top Ten Best Golf Resorts in the USA" by Condé Nast Traveler. Honored with the 2013 Silver State Award, TPC Las Vegas has been named the best course in Nevada, allowing every guest to live the PGA TOUR experience, every day of the year. The TPC Las Vegas golf course is also prestigiously recognized as a Certified Audubon Cooperative Sanctuary by the Audubon Cooperative Sanctuary System. The par-3 second hole of TPC Las Vegas is considered one of its signature holes and certainly ranks among the most photographed. Named "Canyon", this dramatic downhill par-3 offers beautiful views of the desert valley and an island green surrounded by a sea of desert terrain. Playing 196 from the back tees, the green is flanked by a barranca and protected on the right by a green side bunker. The hole plays a bit shorter than its measured distance, so club selection is at a premium. Hole # 14 is our other signature hole and is aptly named "Gorge-ous." Playing at 365 yards, it is not an intimidating hole by length, but requires a blind tee shot to a hidden fairway with a hybrid or long iron off the tee. The beautiful Red Rock Canyon backdrops this hole, and in the morning, the colors can be inspirational. Once in the fairway, the green is situated on a ledge, fronted by a unique cavernous arroyo. While very rewarding to walk away with a par, TOUR professionals Charlie Hoffman and Phil Mickelson have simply elected to drive the green! The TPC Grille offers amazing views of the Spring Mountains and 18th fairway. Often imitated, but never duplicated, our All American Burger has been pleasing golfers for close to 20 years! With great Happy Hour specials, an expansive patio and four (4) specialty draught beers, the TPC Grille is a great way to either begin or end your day. John Daly, Steve Jones, Lee Janzen, Joel Edwards, Craig Barlow, Dan Forsman, Jay Williamson and Ryan Palmer at 62. All records established in tournament. Desperately seeking someone to shoot a 61 and break this log-jam!